Photo: View of Ruby Mountains from US I-80. Eastern Mojave Vegetation View of Ruby Mountains from US I-80. The little bit of orange color in the lower right was a Sphaeralcea. U. S. Interstate 80: Exit 321. 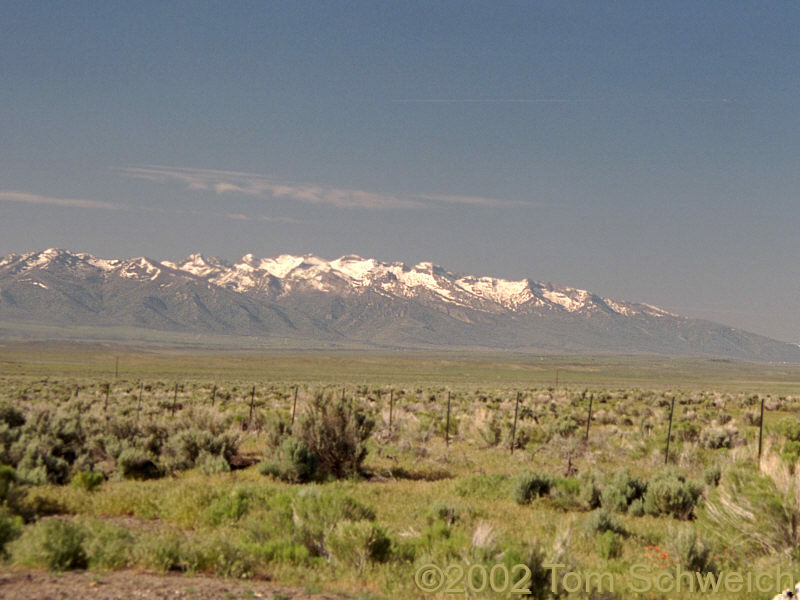 Other photos about Geography - Nevada or Elko County, Ruby Mountains.